In this post I would be discussing comments in a Java program. A comment allows us to insert text that will not be compiled nor interpreted. It can appear anywhere in the source code where whitespaces are allowed. The primary purpose of comment(s) is to leave a note for ourselves related with the code. It is a sort of documentation within the code itself. Comments are sometimes also use to prevent a portion of code from executing. This acts like a quick debugging tool. The idea is to disable a certain piece of code without actually removing it. Java language supports three types of comments, viz. single line comments, multiple line comments and documentation comments. Single line comments begin with double forward slashes and continue up to the end of line. Multi-line comments begin with a slash asterisk combination and end with an asterisk slash combination. Multi-line comments cannot be nested, that is, we cannot have a comment within a comment. Nested multi-line comments are not allowed because */ of the second comment would mark the closing comment and the remaining portion would result in an error. * Write a description of class CommentDemo here. 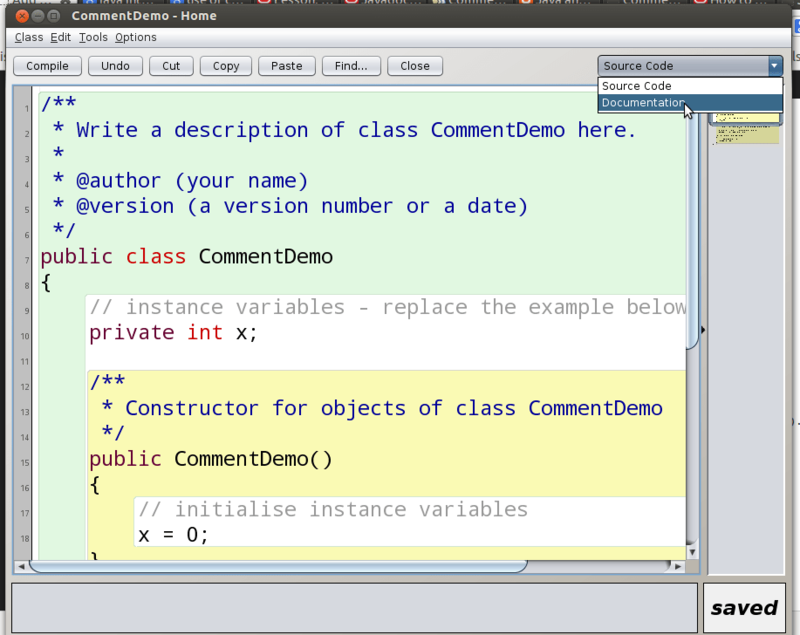 The comments before the class and the function definition are doc comments (notice /** and */). Parameters are specified by @ sign. Now click on the drop down at the top right corner of the editor as shown in the following picture. 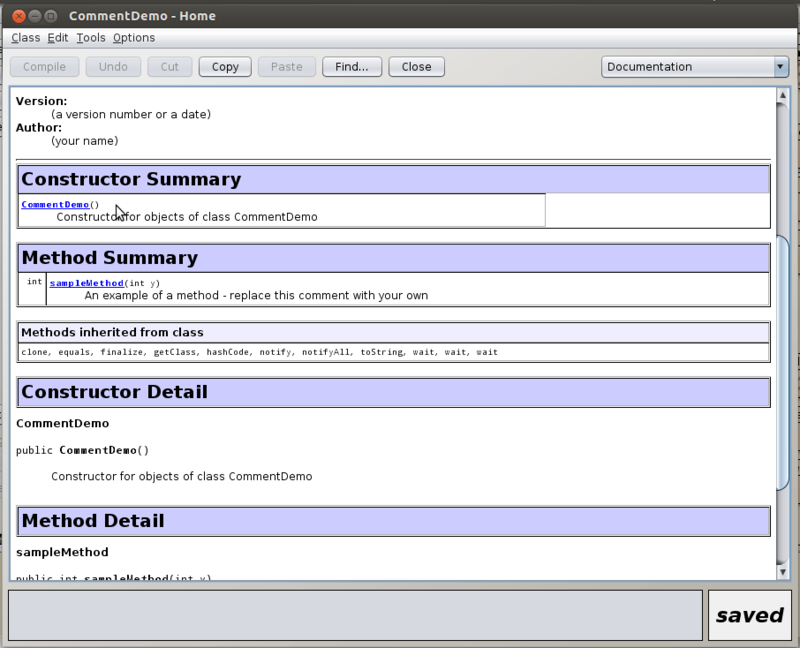 This would result in an elegant html page documenting the class and the function. You can notice that the content is nothing but the text and parameters provided inside doc comments. would result in the error “illegal unicode escape” error because \user is not a valid Unicode escape sequence! This entry was posted in Feature & Concept and tagged comment, ICSE, ISC on March 31, 2014 by Vinay Singh.